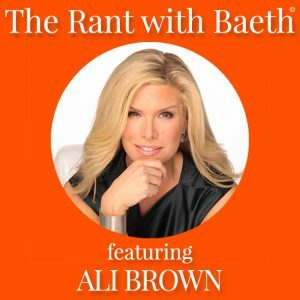 Welcome to “The Rant with Baeth” Podcast! If you aren’t getting what you want, it’s because you think you know who you are. But do you? If you did, you would be getting what you want! Even if you are successful, this podcast is for you if you know there has to be more – more soul satisfaction – rather than boredom, depression, anger, bitterness, disappointment or frustration. In order to grow a successful business, you must know who you are at a soul level – call it your blueprint, your design, your DNA. The acorn grows into an oak tree, not a willow tree. Do you even know what your seed wants to become? Listen in as I rant (in an inspiring, humorous way) on the insanity of struggling to “make more money” and “get by.” When you know your design, your life is financed because you are in the flow. Join me as I share my 20 years of wisdom as a million-dollar business owner, and I interview celebrities, successful entrepreneurs and innovators on the leading edge of consciousness who have overcome the belief that something is missing to living a life of prosperity. Isn’t it time YOU experienced right work for right pay? 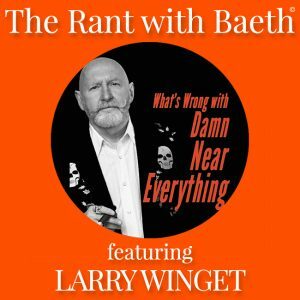 Tune in on August 21st for the official launch of “The Rant with Baeth” Podcast on Apple Podcasts! I’m so excited to have Tulsy Ball on today’s show! Tulsy is a storyteller, writer, producer, botanist and entrepreneur. He rants today about the illusions we have about what we put into our bodies. Tulsy and his brother are the founders of Chagit Products (a health product line) based on the miraculous Chaga mushroom. They believe that this product is an evolution in personal health. In this episode Tulsy compares mainstream and holistic medicine. He also shares his story about discovering the Chaga mushroom, the influence it has had on people’s health, and the journey of his company. Listen in to learn more about Tulsy and this awesome mushroom! Do you know how many opioids are prescribed per year? Don’t worry about time – nothing is done overnight! Today my amazing guest, Pamelah Landers, talks about how women emasculate men. Pamelah is known as a Relationship Wisdom Expert, and she is a Master Hand Analyst (she has read over 51,000 hands). She specializes in helping her clients better understand relationships. Pamelah has published several books about using hand analysis to better understand communication styles and relationships, including Relationship Success for Singles: Life Partner or Life Problems?. Pamelah also works directly with single people and couples to help gain clarity in their romantic relationships. I think you’ll find this episode absolutely fascinating! Do women have too high of expectations? Today I want to talk to you about YOUR LIFE PURPOSE! Frankly, I don’t think that there is anything more important than discovering your life purpose and making the choice to live it. In this episode I share with you how I got into the interesting work that I do. I hope that my story will inspire you to discover your life purpose, and make it the focus of your life. If you already know what your life purpose is, what could you do to take it to the next level? I think you’ll find this episode motivating and inspiring! 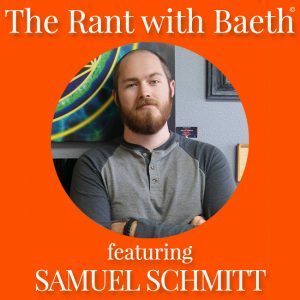 Our guest today is Samuel Schmitt! While on active duty in the Marine Corps, Samuel experienced a rapid evolution and expansion of consciousness that radically changed who he was. He transformed from an apathetic, selfish, and atheistic individual, into a compassionate, wise, and open minded individual. His new sense of intuition changed how he perceived all of reality. Using his greater understanding of himself through intense study of the occult, astrology, human design, and other forms, he created his own unique form of expressing his knowledge. Samuel figured out a way he could offer others exactly what they needed to know about themselves, and their lives. Today, Samuel and I rant about the ignorance people have about what is going on within them. I’ve had the tremendous pleasure of interacting with Samuel and his wisdom, and I can’t wait for you to hear what he has to say. Is their such a thing as coincidences? I have a very special guest for you today, Ali Brown! Ali is a wonderful friend of mine, and she is also my business coach. Ali is one of the most recognized entrepreneur coaches in the world. She built a coaching and consulting enterprise that ranked in the Inc. 500 List of fastest growing companies in the nation. She has been recognized by Forbes, Ernst and Young, and United Nation Foundation Global Accelerator for her incredible work as an entrepreneur. Ali has also been featured on Secret Millionaire, CNN, and she has over 250,000 followers on social media and her podcast, Glambition Radio. I’m super excited to have her on the show today. Listen in as we talk business myths, the internet, and doing the work you are designed to do. Today I’m super excited to have Larry Winget as a guest on the show. Larry is a New York Times best selling author, and you may of heard him, or seen him on television. Larry is the author of Grow A Pair as well as five other New York Times best selling books. Larry has also been on Dr. Phil, The Today Show, as well as other television shows and specials. Larry’s latest book has just been released called, What’s Wrong with Damn Near Everything. Today Larry talks about the book and it’s focus on the collapse of core values. Today is a solo rant episode! Join me as I talk about the boredom emergency. So often I see that people are SO bored that they develop bad habits to occupy themselves. We live in an addicted society, and I think it’s because people don’t know who they are. In this solo rant episode, I talk about the problems with boredom, numbing our feelings, and how to find some solutions. 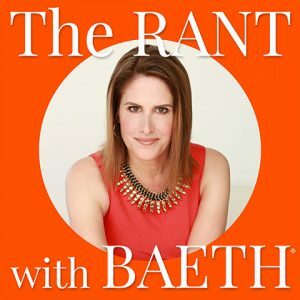 I hope you enjoy this episode of The Rant with Baeth! 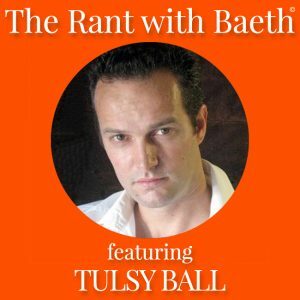 01 Welcome to The Rant with Baeth – Who Do You THINK You Are? 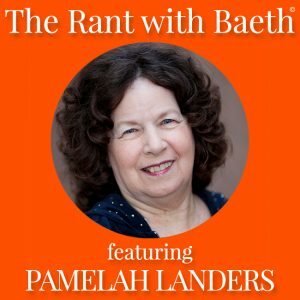 Welcome to The Rant with Baeth! I’m known for my rants, and my specialty is helping people find their cash flow and abundance through doing the work they are designed to do. I rant about the stupidity, laziness, and ignorance in the world because it is fun, it might shift your point of view and it might open up your consciousness. Underneath my rants, I am very sensitive and compassionate. I am here to help you connect with the depth of your inner wealth. Ultimately, this show is about helping you do what you came here to do. In this first episode of The Rant, I introduce Scientific Hand Analysis and reclaiming your own power. Enjoy! https://baeth.com/wp-content/uploads/2017/07/The-Rant-With-Baeth-Show-Art_480.jpg 480 480 Baeth Davis https://baeth.com/wp-content/uploads/2019/02/Baeth-logo-2019-a.png Baeth Davis2017-08-21 04:00:022017-08-21 18:31:0201 Welcome to The Rant with Baeth - Who Do You THINK You Are?